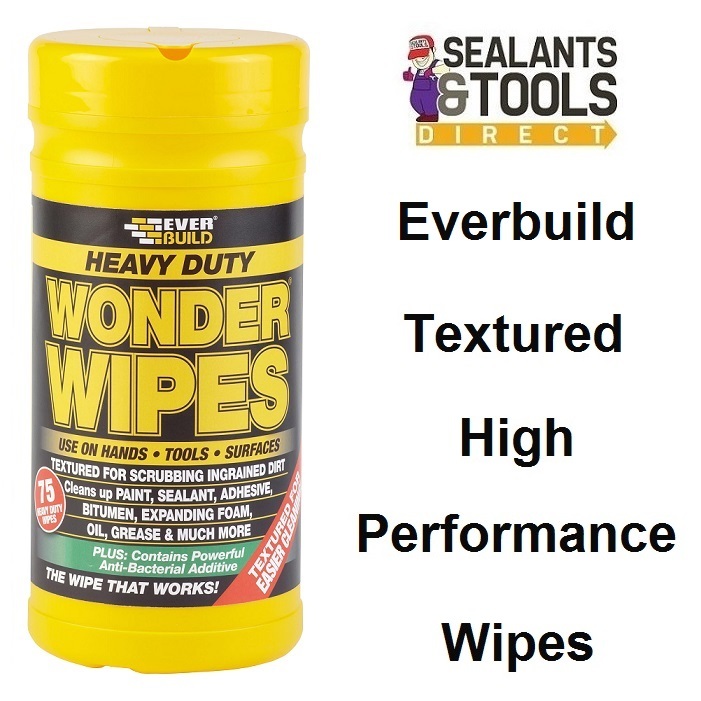 EVERBUILD WONDER WIPE SCRUBS are heavy duty, textured wipes, Specially formulated for the building, engineering and allied trades, Cleans ingrained dirt from hands, tools and surfaces. Heavy Duty Wonder Wipes will easily remove wet and semi-cured paints, sealants, adhesives, bitumen’s, polyurethanes, expanding foams, polyester fillers, epoxies, oil, grease, petrol and inks. WONDER SCRUBS contain lanolin to condition skin and prevent dryness and cracking, No need to rinse hands after use. Antibacterial agent kills bacteria on dirty surfaces and hands.